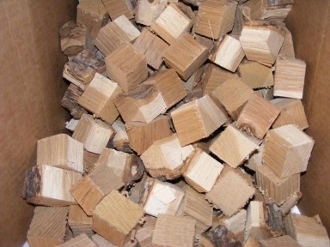 These Alder Chunks are smaller in size, about 1.5" square. These are sized perfectly for the smaller grills and porcelain smokers. Our equally even sized chunks burn more even and predictable for consistent cooking letting you produce a gourmet meal every time. Packaged in a 1 Cubic Foot Box. Total Weight will be close to 30lbs. "Fruit Wood and Sassafras/Alder will be a little less"